The Auburn Brew Club pours one out for Oregon. 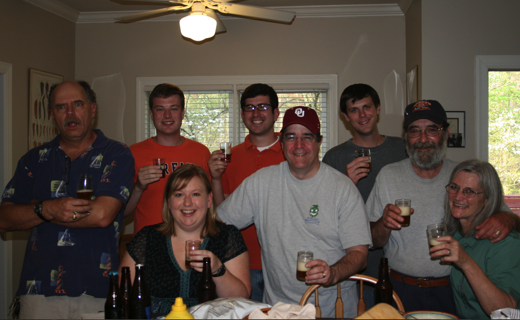 The Auburn Brew Club recently enjoyed the sweet taste of victory, 26 bottles worth. The local group of homemade beer enthusiasts convened Saturday afternoon to sample and critique the labors of the Cascade Brewers Society, their Eugene, Oregon counterparts, who approached the Auburn club with a friendly wager before the Tigers met the Ducks in the BCS National Championship Game: losing fans owe winning fans a case of homemade beer. A grassroots movement to legalize the hobby has been brewing for several years. 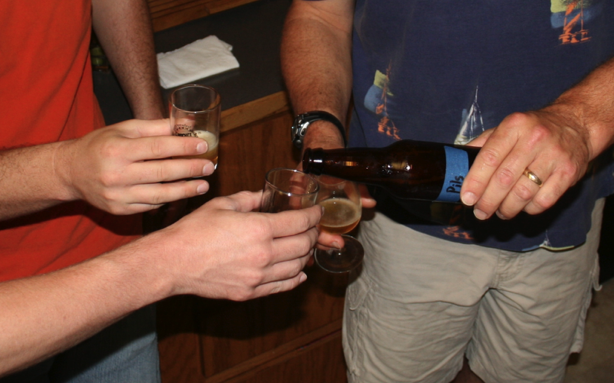 But if you held the attitude of ABC members up to the kitchen light for inspection along with the IPAs and Schwarz, you might detect an almost bootleg is best pride in their current legal status (malt can go bad and alpha acids can oxidize, but that technically criminal thrill always goes down smooth). Whether the results are considered contraband or not, they’re committed to their craft for the long haul. “You can turn it into science or keep it fun,” said Mark Nugent, an Auburn senior in civil engineering, about a quarter of the way through the case. The beer nerds in Auburn might kind of be inclined to the former. Ignore the hat: Doug Bendinger is an Auburn man, but he graduated from Oklahoma. It happens. Which is why on Saturday, despite the two invited TWER staffers’ best efforts to tap the keg of schadenfreude with every sip (“This is three points away from being a great lager” — me… “That beer lacked a ground game” — Dr. Jolley… “There’s a tear in my beer” — me) taking careful, deliberate pleasure in the beer itself took precedence over bragging rights. Way to go Doug, wish I were there.